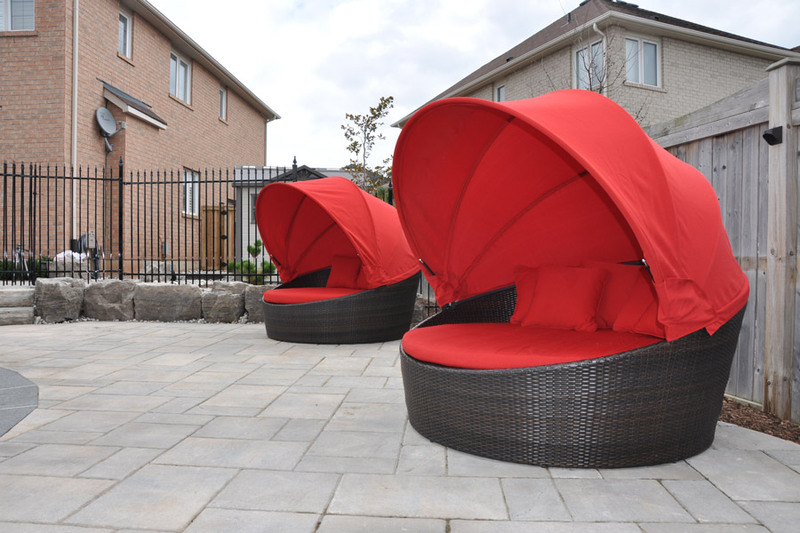 The Browns backyard escape comes complete with large comfortable seating areas with dual moon beds that help to frame this large backyard space. The Moon Beds provide a pop of colour that accents the deep blue colour of the liner. The matching pillows work well with the brown resin wicker base and matching awning pull over cover. 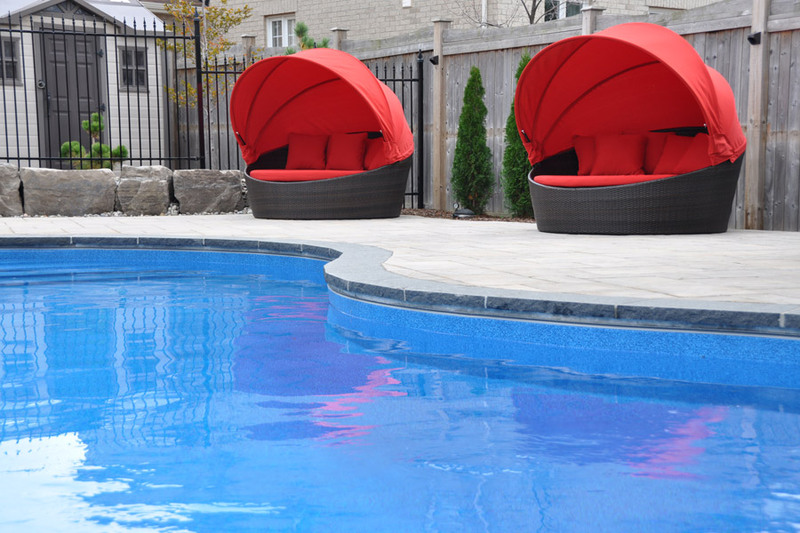 Just steps away from the pool and Moon Beds, you’ll find quaint bartop stool seating made from Extruded Aluminum and Sling, that create the perfect spot to enjoy your favourite drink while your friends and family work on their cannonballs! 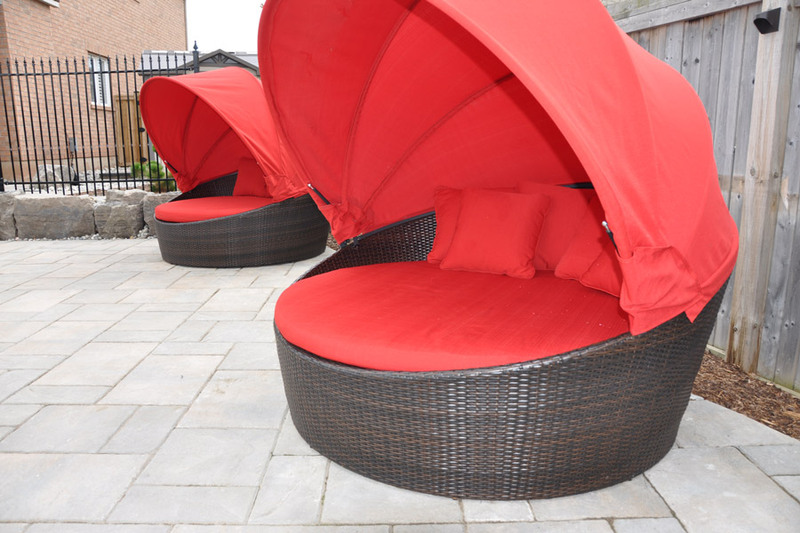 Outside of the pool area, there is an additional patio area that brings in a piece of the country culture. 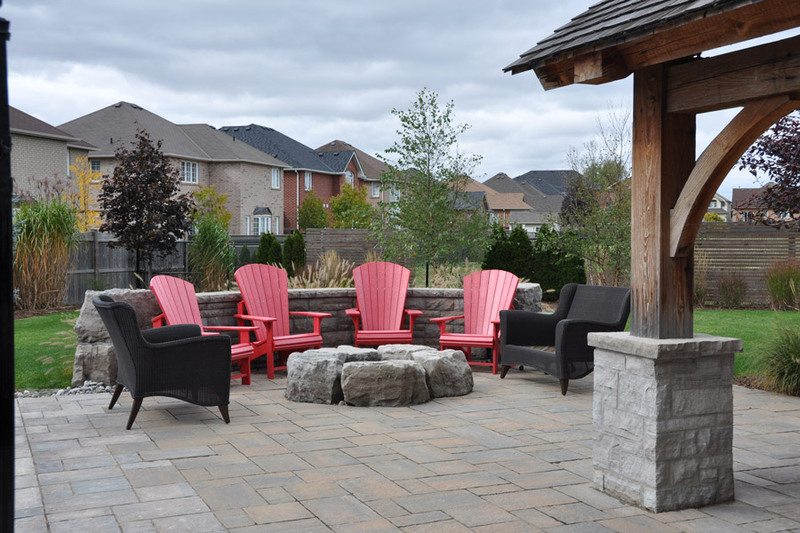 This distinctly Canadian backyard sanctuary focuses it’s attention on the incredible built in stone fire pit that’s surrounded by durable Adirondack Chairs, and bookended with resin wicker loveseats. A curved stone wall provides the feeling of privacy to enjoy a nighttime fire with friends and family.